Geoff Heath first stepped foot in Iraq in 2005, during his first deployment with the U.S. Marines. He had been trained to show the enemy no mercy and to exploit, without hesitation, any weaknesses to prevail. Heath understood war to be a series of calculated moves to ensure the Marines kept the upper hand. He came to understand war as a game of attrition, and to see it as his job to use every type of warfare to force the enemy’s surrender, or death. 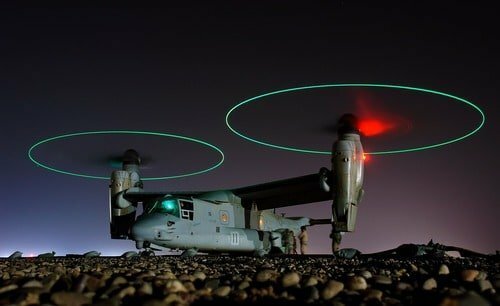 A V-22 Osprey helicopter idles in Iraq. Then again, having served in Iraq, Heath has a more intimate understanding of war than most U.S. civilians. “When it’s your friend that you were just talking to that morning and you have to fight birds for the pieces of his body, you realize it isn’t a game anymore. If you treat war like a soap opera you will never win,” said Heath, 32, who is medically retired and works as a gunsmith in Jacksonville, North Carolina. Heath knows what it’s like to have no choice but to kill someone and to watch someone be killed. He doesn’t expect most people to understand that feeling. And he believes rules of engagement that jeopardize his own life while in pursuit of an enemy are unforgivable. “There is a difference between rules and too many rules. Once you get too many rules and there are too many stipulations and conditions you must meet, you aren’t able to make the split second decision as quickly as you need to,” Heath said. Heath understands viscerally that warfare is, by its very nature, ambiguous, and in that feeling, he’s not alone. 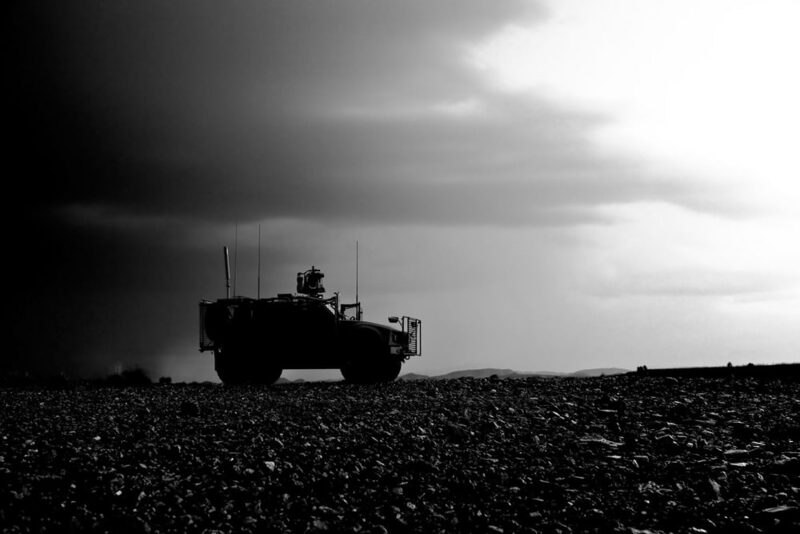 The questions surrounding the definition of a crime during wartime—who to punish when incidents happen, and expectations for soldiers battling elusive insurgencies—are largely unsettled. In modern warfare combatants dress as civilians and war is waged more covertly than ever. On April 13, 2015, four guards for the private security contractor Blackwater received lengthy prison sentences for the 2007 shooting of dozens of unarmed civilians in Iraq’s Nisoor Square. The defendants were clearing a path to the Green Zone for a second team when the shooting happened. When the verdict came down, Americans debated the role of private contractors and the rules by which they’re governed during conflict. At the most recent hearing, which took place in 2015, more than eight years after the Justice Department originally filed its case, three Blackwater guards were sentenced to 30 years for voluntary and attempted manslaughter; a fourth was sentenced to life in prison for first-degree murder. Government prosecutors described an “unprovoked ambush of civilians.” The defendants said they were excoriated for a tragic but inevitable cost of war. 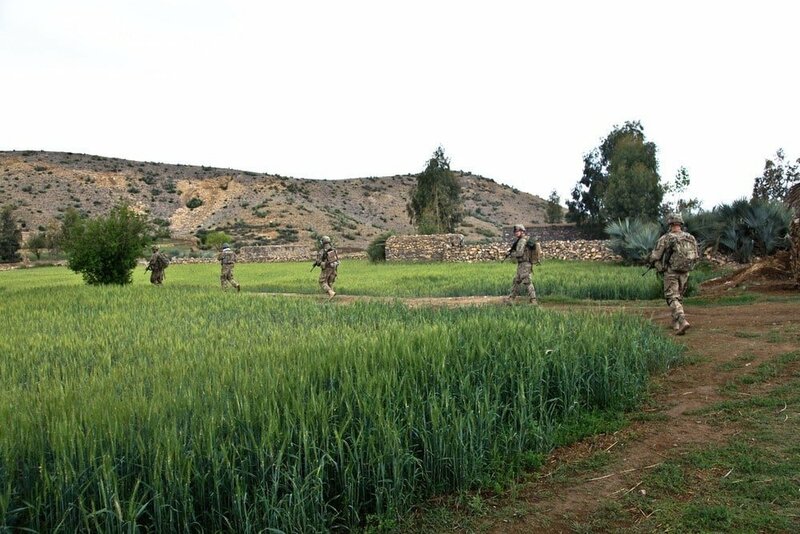 U.S service members patrol through farmland during the war in Afghanistan. The Blackwater contractors, who used weapons given to them by the U.S. government, received lengthy prison sentences, but service members in other similar cases have received little or no punishment. During the 2004 siege of Fallujah, Iraq, Sergeant Jose Luis Nazario was accused of executing two insurgents and ordering his Marines to execute two others, claiming his team did not have the capability to transport prisoners for the remainder of their mission. The killings did not come to light until Nazario was discharged, making him ineligible to be tried by a military court martial. While veterans can be tried under military law under the Military Extraterritorial Jurisdiction Act (MEJA), Nazario’s trial marked the first time in U.S. history that a service member was tried by a civilian court off base for violating the laws of war. The criminal court in his hometown of Riverside, Calif. acquitted Nazario for lack of evidence. 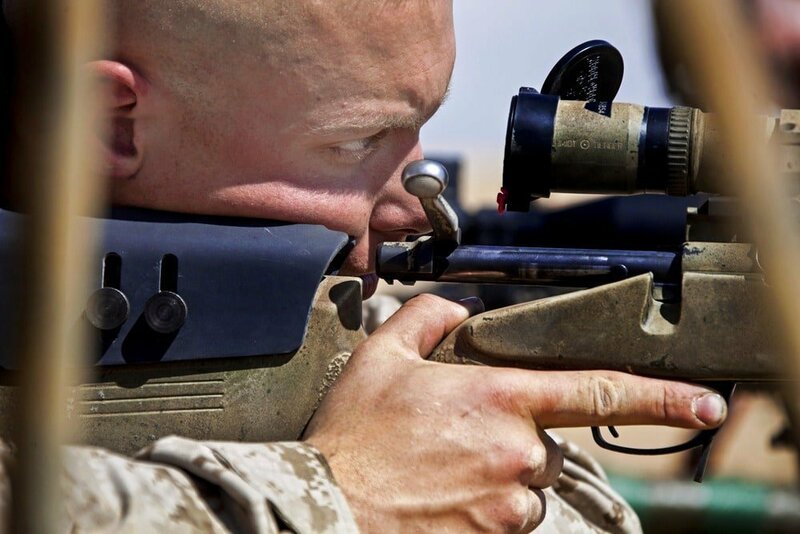 “I think you don’t know what goes on in combat until you are in combat,” said the jury forewoman, Ingrid Wicken, according to The Washington Post. 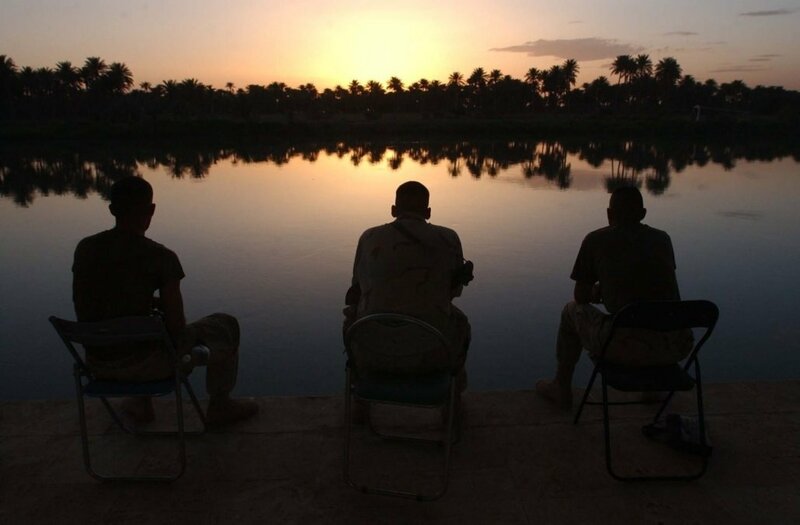 The dead Iraqis were found to have been non-combatants, according to documents published by the Department of Defense following their investigation. It’s not uncommon that the prosecution of individuals for arguably comparable crimes committed during wartime have wildly different outcomes. 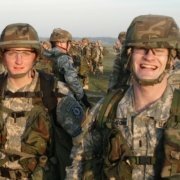 For Geoffrey Corn, a law professor at South Texas College of Law, this is because prosecuting individuals for battlefield misconduct is a complicated challenge for any tribunal—military or civilian—that relies on an intimate understanding of war, a mission’s goal, and the defendant’s intent. The likelihood of an acquittal in battlefield misconduct cases is high, but the Blackwater defendants may not have benefited from the same perception often given to soldiers that they were in the right place at the right time, attempting to do the right thing, Corn said. 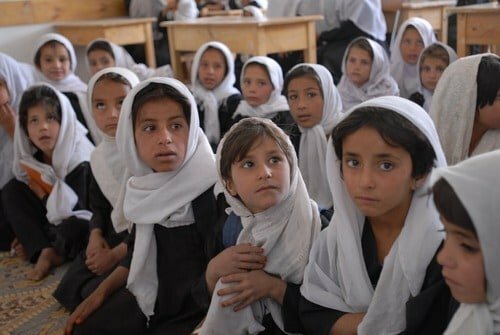 Children sit inside of a school in Afghanistan. Currently, MEJA has loopholes that may protect non-military contractors if they were to be implicated of war crimes. To that end though, the government’s growing reliance on defense contractors illustrates the legal difficulties of carrying out a war crime prosecution by the government. The Civilian Extraterritorial Jurisdiction Act (CEJA), which has been stalled in Congress for nearly one decade, would extend the Military Extraterritorial Jurisdiction Act to include non-military contractors. The Blackwater defendants who were sentenced in 2007, for example, were convicted under MEJA, which oversees crimes committed by Defense Department civilian employees and others who support military operations abroad. “We have contractors playing a broader role more generally by working for the State Department, protecting diplomats, etc. 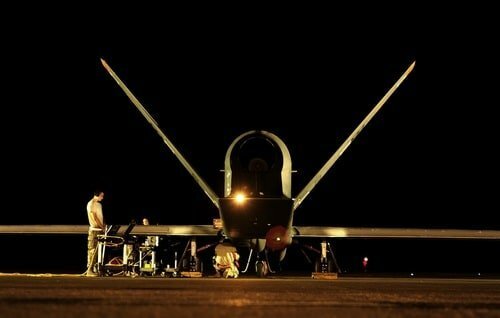 But there’s a legal framework that hasn’t evolved yet to deal with this new reality,” said Laura Dickinson, a law professor at George Washington, noting that contractors frequently play a role in gathering military intelligence, operating drones, and other activities. The common thread? War is full of uncertainty. The Department of Defense has never issued an official estimate of Iraqi civilian deaths. The Iraq Body Count (IBC), which is funded through public donations and grants, has recorded deaths in the country since 2003, cross-checking media reports with public records and reports published by governments around the world. 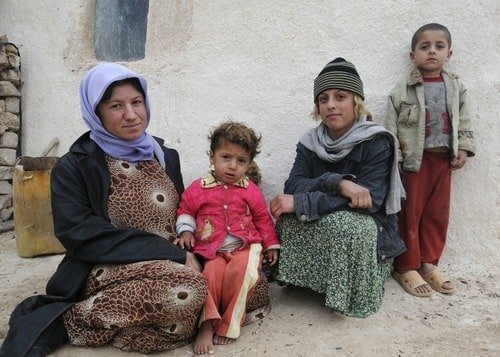 The project estimates around 150,000 Iraqi civilians have been killed. The IBC is widely regarded to have the most rigorous data analysis standards, but the project’s stated margin of error related to civilian casualties is still somewhere around 20,000. 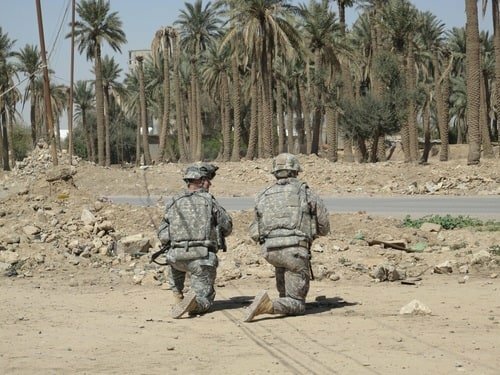 Service members from the United States kneel during a patrol in Iraq. It’s essential to account for civilian deaths, but also to remember how, during a skirmish, when combatants of today’s wars are dressed like civilians, the decision to shoot or to not shoot lies with the service members who perceive a threat, or are under fire. For the United States, the way military operations have changed over time plays a role. World War I included trench warfare. Jungle warfare in the Pacific and the Normandy beach landing became iconic images of the battles during World War II. Korean War veterans survived frostbite and hypothermia, and in Vietnam infantrymen waded through rice paddies battling jungle rot. As the clime and place has shifted, so has the methodology of war. Throughout the Second World War—coined the “Good War”—long lines of civilians fleeing cities being shelled by both Allied and Axis Powers were not uncommon. U.S forces were authorized to shoot on sight any identified military personnel or buildings, and were also given authority to kill anyone and destroy any buildings or materials suspected of being beneficial to the enemy. Unlike past military operations, in today’s wars it can be impossible to differentiate between civilian and combatant. Aerial photograph of explosions as bombs were dropped from aircraft onto cities in Italy. The “principle of distinction” is a foundation of humanitarian law that obligates all parties in conflict to distinguish between combatants and civilians, according to the Georgetown Law Review. But while it would greatly reduce civilian casualties if fighters adhered to that principle, but they don’t, which is why the IBC is so staggeringly high. What complicates that for fighters is that the Protocol of the Geneva Convention, which is intended to prevent non-combatant casualties, states that “Intentionally directing attacks against the civilian population as such or against individual civilians not taking direct part in hostilities” constitutes a war crime. 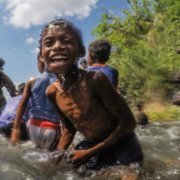 Of course, humanitarian concerns are not limited to modern-day conflicts. In 700 B.C., the Hindu Mahabharata encouraged combatants to treat prisoners, those who surrender and their wounded, with dignity and provide them medical aid. Sun Tzu condemned ransoms for prisoners of war in 200 B.C. But in contrast to World War I and II, where varying enemies from the most powerful countries in the world wore uniforms and used the most sophisticated weaponry in existence at the time, insurgents increasingly use human shields to evade detection and increase the possibility of civilian deaths at U.S. hands, opening a door to murky waters. 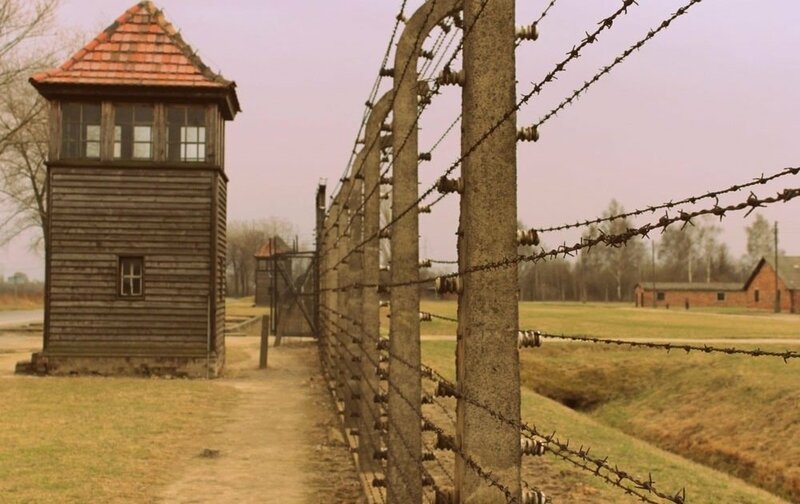 One of many Nazi Concentration Camps in Europe that remain as a result of military action by Nazi forces. And can you really insert humanity into war— the most inhumane act mankind can commit? 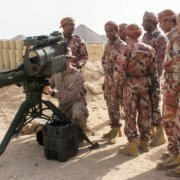 During the war in Iraq, some analysts said the U.S. military and coalition partners made a noticeable attempt to alleviate the role that combat operations imposed on innocents. Discrimination in weapons use was meticulously taught and recited to U.S. troops. Unmanned aerial vehicles (UAV) were used for surveillance to improve the screening of mobile targets, and increased precision, improved target verification, and focused weapons efforts were employed specifically to reduce civilian casualties. Stricter rules of engagement, where troops must identify a “pattern of life” and acknowledge whether civilians are at risk of being killed or wounded by U.S. munitions before they can return fire on the enemy, were also implemented. U.S. service members inspect an Unmanned Aerial Vehicle, or UAV. 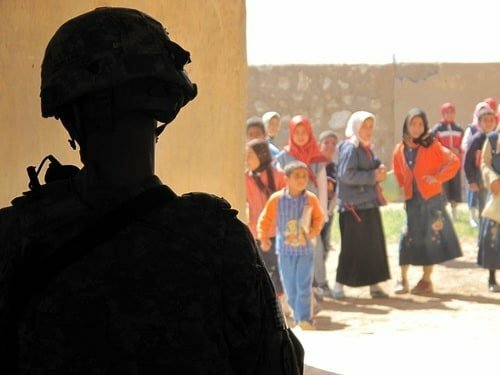 At the combat level though, strict rules of engagement, which were almost by consensus enforced in Iraq and Afghanistan, are one of the most important tools, even if they have created guidelines that restrict day-to-day operations for service members who haven’t committed crimes. James N. Mattis, a retired General of the Marine Corps who served more than 41 years in billets ranging from an infantry platoon commander to the Commanding General of the United States’ Central Command, said rules were not a problem. 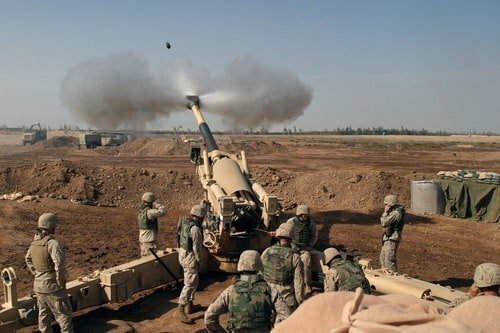 U.S. Marines first artillery in support of combat operations in Falluja, Iraq. 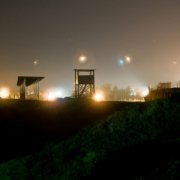 “(Rules of Engagement) never reduced my ability to have troops engage and kill our enemies even as we did our best to avoid casualties among the innocent or non-combatants,” said Mattis, who led service members in battles such as Operation Phantom Fury, the largest urban battle since Hue City, Vietnam in 1968. The battle involved more than 13,000 coalition troops and was an assault on the city of Falluja in 2004. For Mattis, one of the most outspoken and politically controversial generals of his time, the key to success in a counterinsurgency and keeping civilian casualties to a minimum lies with every individual on the battlefield. Heath isn’t going back to war with a new lieutenant. It has been years since he last fired his issued rifle. His uniforms now hang in his bedroom above his garage and are a constant reminder of the life he lived. When he closes his bedroom door and goes downstairs to work, he can be found bent over his workbench – a repurposed aluminum explosives crate perched atop wooden legs – where he turns the tools of war into unique works of art. Working inside of his garage, applying Cerakote is a process that calms him and allows him to focus on creating things with his bare hands, instead of destroying them. Heath jokes that he “just makes pretty guns,” but he has applied Louis Vuitton logos to pistols, designed camouflage graphics by hand for rifles, and coated shotguns in a wide array of colors and patterns. Despite his success, when he deals with most customers about his intricate ceramic coatings, he doesn’t tell them he’s a veteran. Unless they tell him they were an infantryman, first. It’s a topic he avoids, he said, because he feels the public perpetually convicts people of war crimes, not by a jury of their peers, but by uninformed opinions. Condemnation comes with a weight, he said. And that public criticism is why he doesn’t discuss war. Heath, who fought in the Battle of Marjah during his 2011 deployment to Afghanistan and was awarded the Purple Heart after being wounded in combat, believes that is the real problem. Even after veterans come home, they face not just the media, but neighbors and friends who have already imagined how they might have conducted themselves in war. War is about bringing your men home, Heath said. Natalie Schachar is a journalist currently living in Los Angeles. Her work has been published by the Los Angeles Times, Al Jazeera, and Tablet Magazine. Thomas James Brennan is the founder of The War Horse. He is working on a book, “Shooting Ghosts,” about the psychological costs of war, to be published in 2017 by the Viking imprint of Penguin/Random House. He was a sergeant in the Marine Corps and served in Iraq and Afghanistan with the First Battalion, Eighth Marines. He was awarded a Purple Heart and is the recipient of a 203 Dart Center honorable mention and the 2014 American Legion Fourth Estate Award. Thomas matriculated from Columbia University as a Stabile Investigative Journalism Fellow.